These heavy duty Cab File Desk systems are designed to accommodate all of your office needs on the road. All steel construction with fully hinged lockable lids provide secure storage for laptop computers, cellular phones, cameras, and other valuable items. Handy lid-mounted spring clip holds papers in place for writing. All components have a durable grey powder coat finish. *Fits most vans. Desk measures 12 1/2"W x 22 1/2"D x 18 1/2"H. Built-in hanging rails adjust to hold either letter or legal sized hanging files. Desk is secured with a keyed lock. 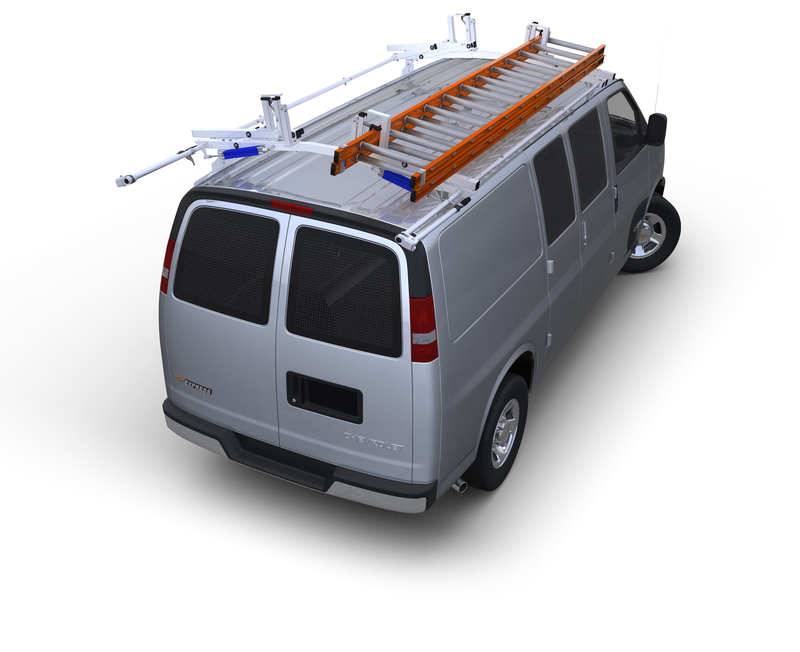 Notched Desk body fits over floor mounted air bag control modules found in some full-sized vans and mounts directly to floor of van.